Voievod (King) Mircea the Old (grandfather of Vlad Tepes, also known as Dracula) was famous in the Romanian history for his fight for freedom against invaders of his country. He was the sire of this noble and illustrious family. His son, Vlad Dracul (father of Vlad Tepes), was a courageous soldier and a commander of the Dragon unit (heavy cavalry). He received The Order of the Dragon in Nuremberg from the Emperor Sigismond of Luxembourg on February 8, year 1431. The German word “Drachen” which means dragon sounds like the Romanian word “dracul” meaning “devil”, and this is the name which his father left to his son. The suffix “ea”, edd to the father’s name (Vlad Dracul + ea) gave the son his nickname Draculea – later shortened to Dracula. Vlad Dracul and his family left Germany and went to Sighisoara, an old town in Transylvania. This is where Vlad Tepes (tepes means the impaler) spent part of his youth. Vlad Dracul had three sons: Mircea, Vlad Tepes and Radu the Beautiful. Vlad The Impaler, later to become Count Vlad Dracula, did inherit some good qualities from his father. Vlad III was born in November or December of 1431 in the Transylvanian city of Sighisoara. At the time his father, Vlad II (Vlad Dracul), was living in exile in Transylvania. The house where Vlad the Impaler (Dracula) was born still exists today in the medieval citadel of Sighisoara, which has been inhabited continually since his time. In 1431 the house was called the “nest of spying from Sighisoara” and is located near the clock tower which many people still visit every year. Inside the house on a wall of a second floor room are a couple of original pictures dated of the years of Vlad the Impaler. In 1442 Vlad attempted to remain neutral when the Turks invaded Transylvania. The Turks were defeated and the vengeful Hungarians under John Hunyadi forced Dracul and his family to flee Wallachia. Hunyadi placed a Danesti , Basarab II, on the Wallachian throne. In 1443 Vlad II regained the Wallachian throne with Turkish support, on the condition that he sign an new treaty with the sultan that included not only the customary annual tribute but the promise to yearly send contingents of Wallachian boys to join the sultan’s Janissaries. In 1444, to further assure the sultan of his good faith, Vlad sent his two younger sons to Adrianople as hostages. Dracula remained a hostage in Adrianople until 1448. Little is known about the early years of Vlad IIIâ? ?s life. He had an older brother, Mircea, and a younger brother, Radu the Handsome. His early education was left in the hands of his mother, a Transylvanian noblewoman, and her family. His real education began in 1436 after his father succeeded in claiming the Wallachian throne by killing his Danesti rival. His training was typical to that of the sons of nobility throughout Europe. His first tutor in his apprenticeship to knighthood was an elderly boyar who had fought against the Turks at the battle of Nicolopolis. Vlad learned all the skills of war and peace that were deemed necessary for a Christian knight. Vlad Tepes served three times as Voievod of the Romanian people in Valachia over a period of 30 years : his first term lasted for two months in the fall of 1448. The second, and longest reign, was between 1456 and 1462. Vlad the Impaler was elected Voievod (King) again in 1476 and served for only two months (November and December) before his death. Dracula spent a number of years in various prisons, totaling 26 of his 46 years of life. Between 1448 and 1456, he was in exile in Moldavia and Transylvania. He regained power over Wallachia in 1456, which was being held by Iancu of Hunedoara, Voievod of Transylvania. Vlad the Impaler wanted to make the internal political position of the Voievod very powerful. Many years of fighting for power had created instability within the country. At that time, some of the Boyars (wealthy landowners) abused and tortured the poor. That abuse hindered the country’s resistance to invasion. He understood that the principal cause of instability for the state was the struggle for power among the nobility. Vlad Tepes understood that it was very important for Valachia to protect its trade, so he made some special rules to protect his country against the German and Saxon importers who were unhappy with that. When the Saxons, (living in Transylvania), traded with Germany and Western Europe, they demonstrated negative feelings about Vlad Tepes. Vlad Tepes was in captivity from early 1462 to 1474. In the year 1474, his cousin Sthephan the Great Voievod of Moldavia won the battle against Matthias Corvinus at Baia and forced him to set Vlad the Impaler free. 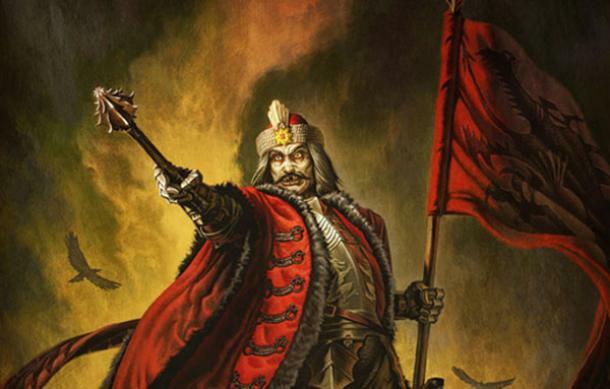 Reason for freeing Vlad Tepes was to use him as Voievod of Wallachia to fight against the Ottoman invasion. Finally, Matthias Corvinus was more interested in getting him back into fighting against the Turks as he had before.In 1476 with the help of Matthias Corvinus, king of Hungary and Transylvania and Voievod Sthephan the Great of Moldavia, Vlad the Impaler (Dracula) become Voievod of Wallachia for the third time. This term lasted only two months ending in his death. There are many versions about how his death occurred, but they all have the same foundation. The most popular version was that Vlad the Impaler died in a forest called Coltul Bolesti close to Bucharest, which is the capital of Romania. In this forest exists a small lake called Witches Lake. Here it is always foggy and thunder and lightning hits the forest frequently. Animals never touch the water and people talk about a lot of strange things, that happened in past times. He was killed by Laiota Basarab and the Ottomans who wanted Laiota Basarab to become their new Voievod of Wallachia. The nobility betrayed him because they were afraid of him. It stated the Ottomans cut Dracula’s body into pieces and killed another 4000 people who supported him. Other sources say his close followers who confused him for an Ottoman killed him. Because Dracula was wearing Turkish clothes the killer could have been one of his own people. Another source stated his head was sent to the Ottoman Sultan as a present, and his body was put into a crypt at the Snagov monastery, rebuilt by him after the year 1456, in his second term as Voievod. He also ordered the building of a prison, with a bridge and a refuge tunnel, between the island and the lake for robbers and those accused of high treason, to keep them away from society. This is the end of the life of the great Voievod of Valachia. In those hard times he was a leader for his people, and especially for poor people, whom he tried to protect from invaders in his fight for justice. Vlad Dracula is remembered as a prince who defended his people from foreigners, whether those foreigners were Turkish invaders or German merchants. He is also remembered as a champion of the common man against the oppression of the boyars. If you find any errors on this page, or would like to add some information, please use our contact form. If we publish any of your contributions, we will provide you full credit as the original creator. We’d like to thank the following sites for sponsoring this page, if any of the below subject matter interests you, please click on the link to support our friends! Visit our sponsor and peruse their reviews of the top USA online casinos at https://usacasinocodes.com. You can read details on the Bovada Casino bonus codes here.